The main challenges in successful options trading are conceptual, not mathematical. 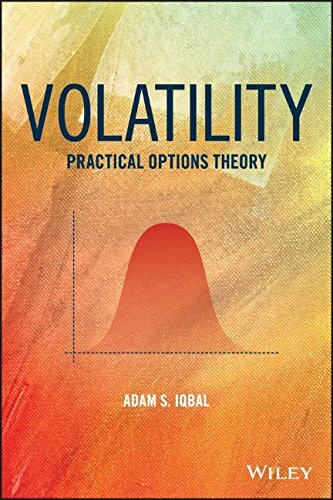 Volatility: Practical Options Theory provides financial professionals, academics, students and others with an intuitive as well as technical understanding of both the basic and advanced ideas in options theory to a level that facilitates practical options trading. The approach taken in this book will prove particularly valuable to options traders and other practitioners tasked with making pricing and risk management decisions in an environment where time constraints mean that simplicity and intuition are of greater value than mathematical formalism. The most important areas of options theory, namely implied volatility, delta hedging, time value and the so-called options greeks are explored based on intuitive economic arguments alone before turning to formal models such as the seminal Black-Scholes-Merton model. The reader will understand how the model free approach and mathematical models are related to each other, their underlying theoretical assumptions and their implications to level that facilitates practical implementation. There are several excellent mathematical descriptions of options theory, but few focus on a translational approach to convert the theory into practice. This book emphasizes the translational aspect, while first building an intuitive, technical understanding that allows market makers, portfolio managers, investment managers, risk managers, and other traders to work more effectively within—and beyond—the bounds of everyday practice. This book allows its readers to gain more than a superficial understanding of the mechanisms at work in options markets. Volatility gives its readers the edge by providing a true bedrock foundation upon which practical knowledge becomes stronger. The Options Playbook, Expanded 2nd Edition: Featuring 40 strategies for bulls, bears, rookies, all-stars and everyone in between.